LIN'S GENEALOGY HELPS: What is family history? Genealogy or family history (easier to spell) is the #2 hobby in the world, topped only by gardening as #1. Millions of people are fascinated by searching for their ROOTS. Read my post about how October got designated "Family History month." 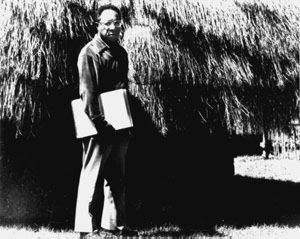 Alex Haley, the Afro-American author of Roots (1977) had this to say..."in all of us is a hunger, marrow deep, to know our heritage to know who we are and where we have come from. Without this enriching knowledge, there is a hollow yearning. No matter what our attainments in life, there is still a vacuum, and an emptiness, and the most disquieting loneliness..."
Most of us are lucky enough to have had experiences with our parents, grandparents and even some of our great grandparents. Our lives have been affected by their example whether negatively or positively. Will our great grandchildren know of their heritage––only if we preserve some kind of record telling them our life story and about their family history. Have you done that yet? Many children and their grandparents live thousands of miles apart these day. It's a shame they don't get to know one another the way many of us got to know our grandparents through frequent visits. Its amazing how much family history you do...I wouldn't know where to start. This is so cool! It seems to me that the older I get, the more questions I have about my ancestry. Of course, that's the way of life, I suppose... Wanting things when it's a bit late to be able to get them. My mother was an absolute countain of knowledge... I had aunts and uncles that I knew and could have asked myriad questions. They're all gone now. There are no relative lefts who actually lived at the home of my grand parents and great grand parents... no funny stories to be heard. I try to remember some of the things my dad and mom and my uncles had to tell me about their youth. I've written a few of them down. I need to write all of them down before they'reforgotten. I also got out the tape recorder one afternoon and started to ask her questions. That tape is priceless!